Here are two looks I created with pink nail polished and glitter accents. Simple and girly. This look I used Essie- Eternal Optimist, its the perfect mauve pink. 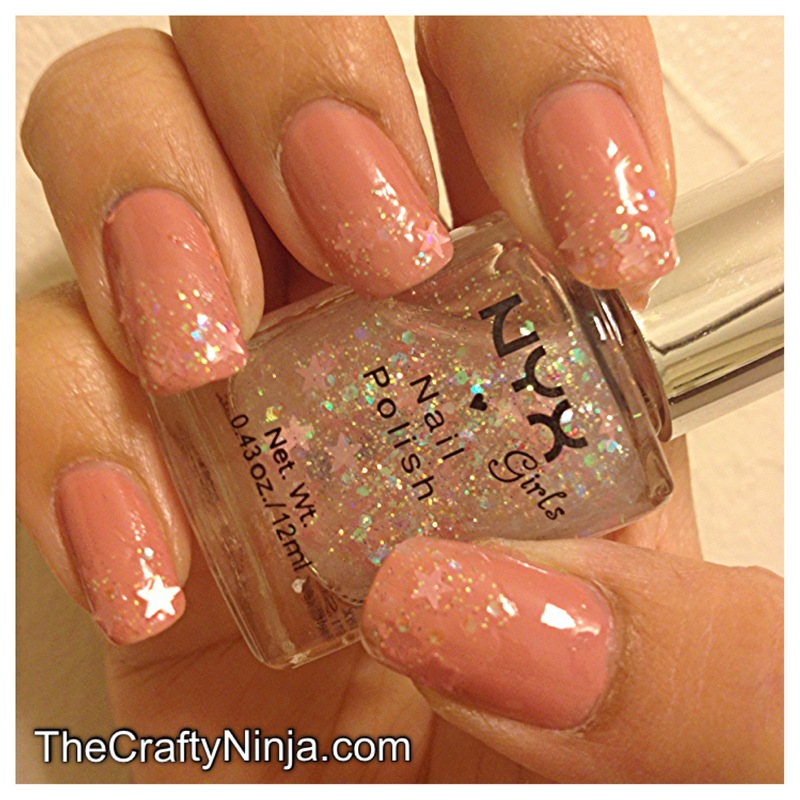 And on the tips I painted half way used NYX- Dreamy Glitter, I love the sweet pink stars and the shimmering glitter. This look is simple, easy, and so adorable. My next mani I painted the tips of my nails in Revlon- Cupid and added Milani- Gems as the glitter. 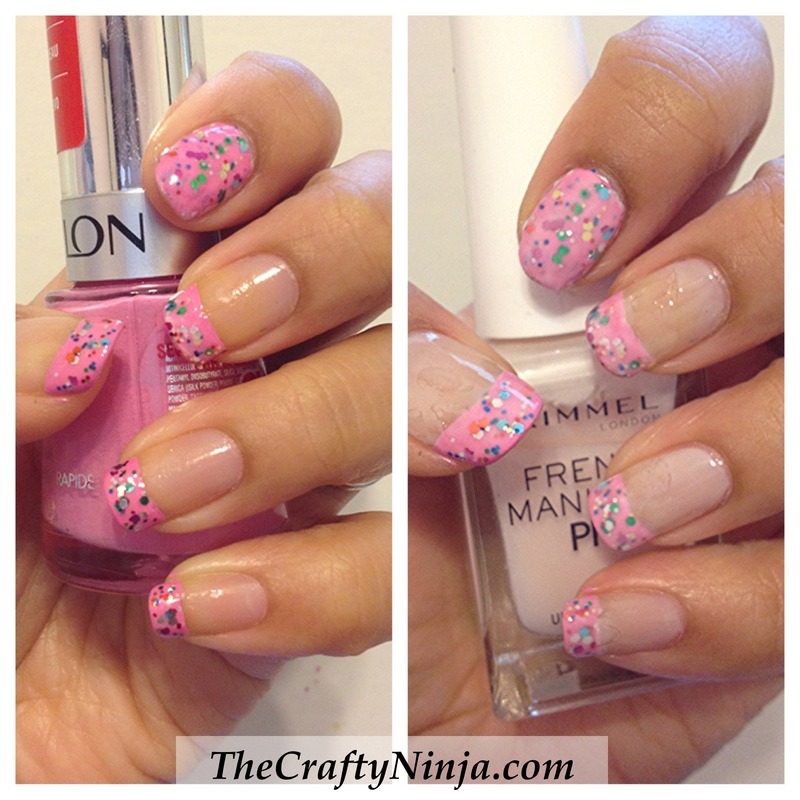 On the right, I experimented by painting Rimmel- French Lingerie to create a Jelly Manicure, tutorial here.